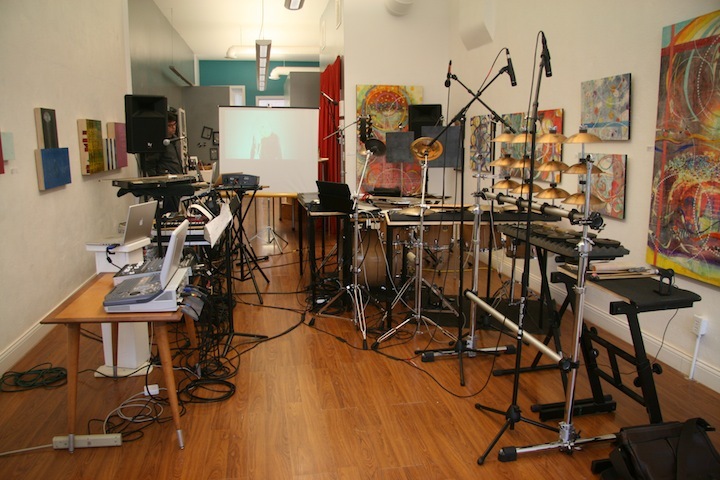 On Saturday, October 8, Big Robot performed a concert at Lala Gallery in West Lafeyette as part of the E3 Series for Improvisation Performance. The E3 Series hosts live performances by artists who feature improvisation. The series brings in artists from various art disciplines, including music, dance, and spoken word. Don Nichols, one of the event’s coordinators and a percussionist, improvised a piece with Big Robot before the group played their set. Members of the Telematic Collective assisted Big Robot in creating a networked environment to perform their multimedia works. More information about the E3 Series for Improvisation Performance can be found at http://pmpd.org/E3.htm. Photo: Big Robot’s setup in the Lala Gallery in West Lafeyette. Photo by Rachel Daley. Telematic Collective has launched an exciting new collaboration with graduate students from the Herron School of Art at IUPUI. The art students, members of Professor Craig McDaniel’s art studio course, are working with MSMT graduate students in the creation of material for a concert/installation scheduled for December 2011. 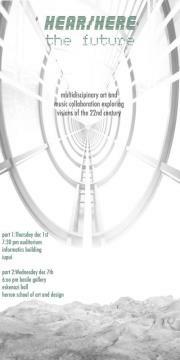 Current plans are for the Telematic Collective to perform at concert at the IT building at IUPUI that is beamed over to the art gallery at the Herron School of Art where it is presented as installation material for their class project on December 1. One week later, on December 7, the installation at Herron will open. We will open with content integrated between the two classes of students. 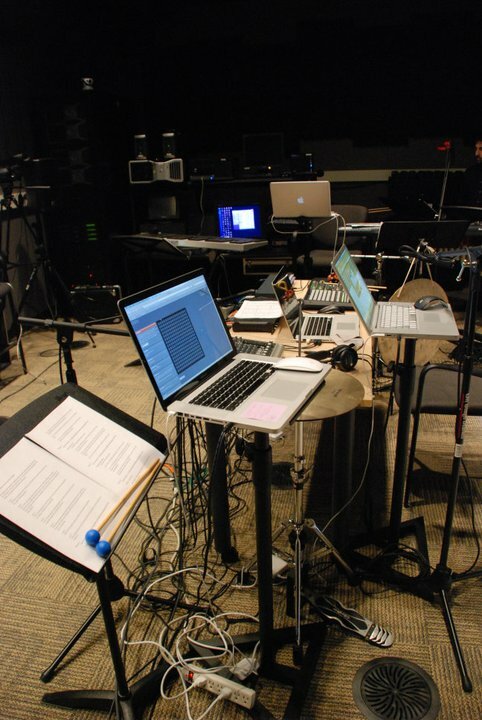 Performance of Response 1 by Arne Nordheim, Peter Kates onstage, S. Deal online. 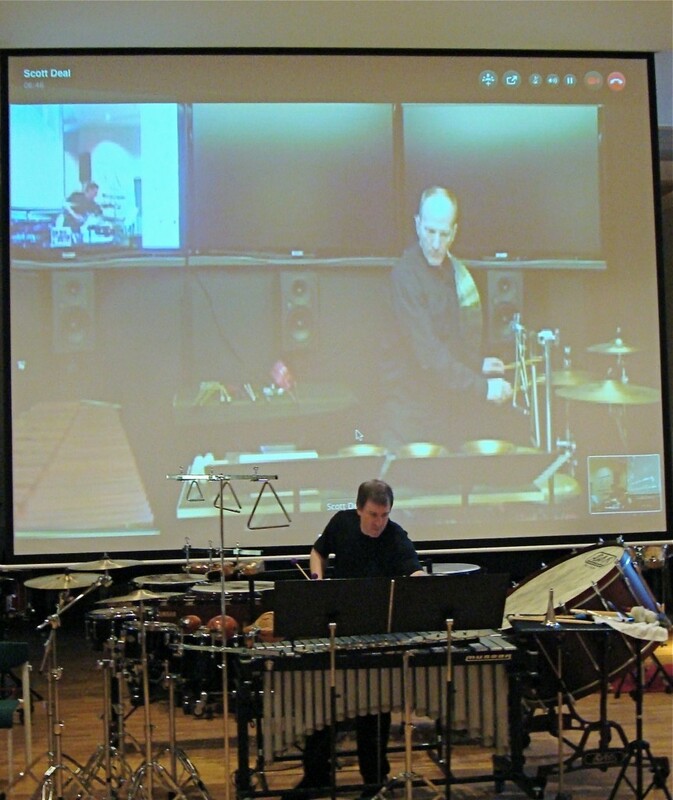 On April 27, Scott Deal performed online in concert with Peter Kates, of the Bergen Philharmonic Orchestra in Bergen Norway. The work was “Response 1″ by Norwegian composer Arne Nordheim, for two percussionists and electronic tape. The concert was a recital in Norway presented by Peter and this work was on the program. Deal performed from the Tavel Lab at IUPUI, Indianapolis. 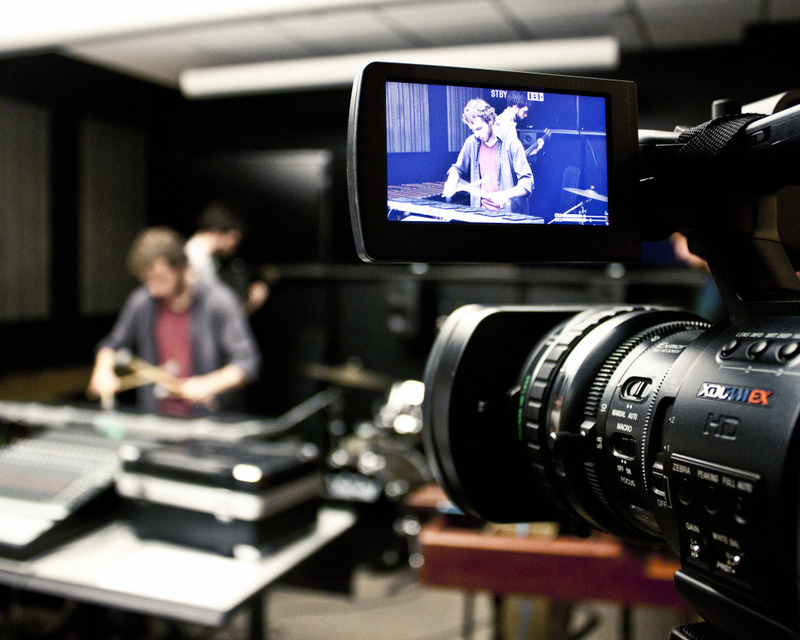 The Telematic Collective with present its 2011 spring concert on April 21 at the IT Building, room 152 at IUPUI. Joining the Collective online will be the Syneme Lab Telearts Ensemble at the University of Calgary (directed by Professor Ken Fields), and the RAT (Radical Arts Technology) Ensemble at the University of Missouri Kansas City Conservatory of Music (directed by Matthew Burtner) and the Hybrid Arts Lab at Indiana University Bloomington (directed by Margaret Dolinsky). The concert will feature Virtual Reality works that will also be able to be viewed simultaneously in the Virtual Reality Theater at IUPUI, also in the IT Building. Additionally, a world premiere of a work conceived 39 years ago for the dynamics of the Internet by renowned American Composer Stuart Sanders Smith. After the concert, the VR art environments will be on display and can be experienced in the virtual reality theater on the fourth floor. The VR theater is similar to the concept of Star Trek’s holodeck providing visual illusions in 3D that can be navigated. The theater consists of head and hand tracking, stereoscopic displays and real time 3D rendering. As one navigates the environment using a joystick wand, the computer updates the display according to the navigator’s head and hand positions. This allows visitors to dynamically explore the environment from a first person perspective.